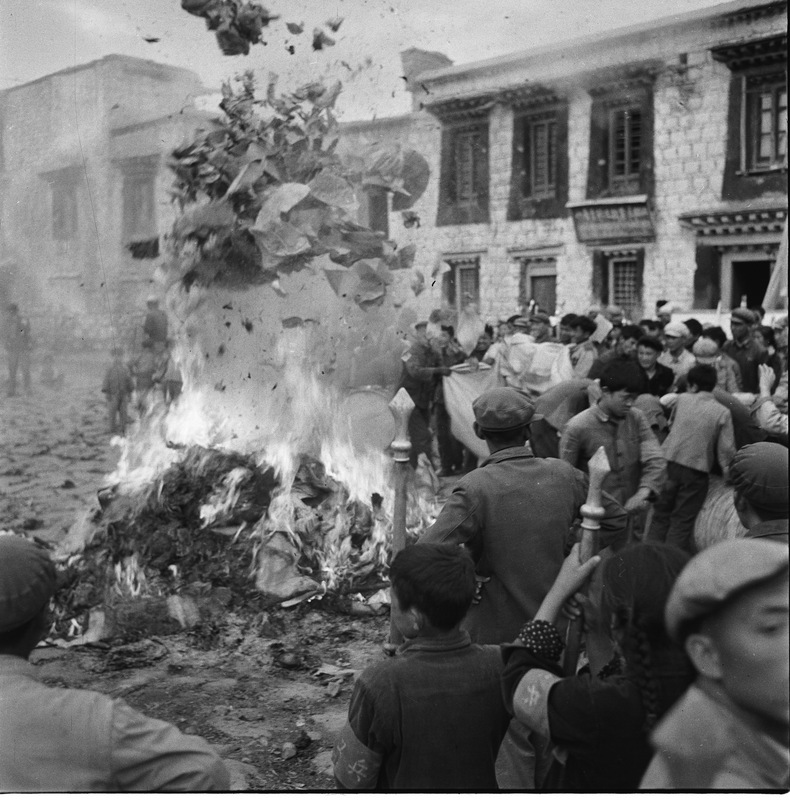 Red Guards burning the scriptures of Jokhang Temple, August 24, 1966. 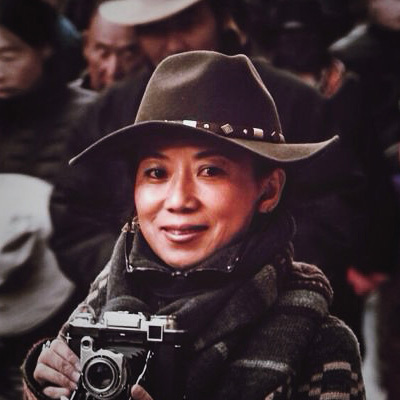 Photograph by Woeser's father Tsering Dorje. engulfing Lhasa in the violent winds of reform. as I grew up in the schism. another hellish lacuna in the pages of history. I see the Norbulinka on March 17, 1959. I see the Potala Palace on March 10, 1959.
as he fled in the middle of the night. to bring any of this back. covered their faces and took flight. a custom to be eradicated.